1.Something happens in the news. Think piece is written. Rinse (forget) and repeat. 2. Tomorrow I get to wear jeans to work and there are gonna be bagels and cream cheese for breakfast. I will do whatever they ask me to do. 3. I don’t know if I’m more upset by those who used Ashley Madison to cheat on their spouses or those who use it for self-promotion. 4. 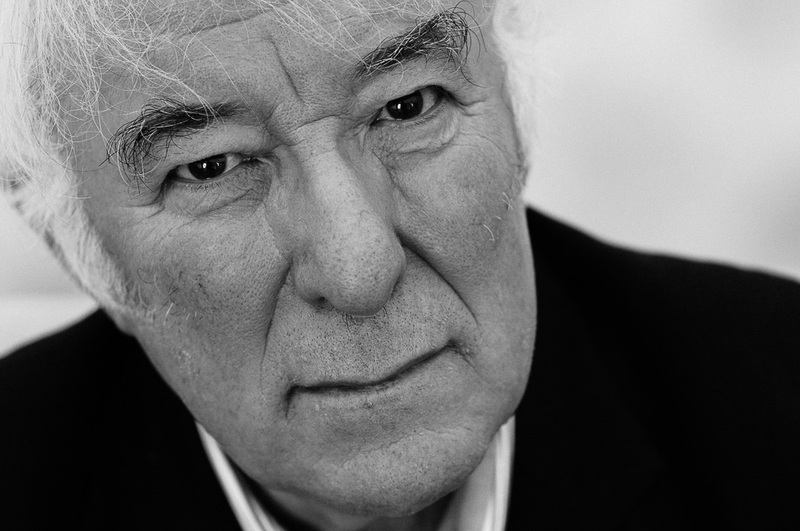 Last night I finished a book of interviews with Seamus Heaney. I grew cold towards the book in the middle. But the end was worth it. I am richer now. 5. Morality is not our great struggle. It is the struggle to believe we are accepted and loved by the King of the Universe because of what he did and not what we do or did not do. 6. My wife made some chicken salad this week I would knock over a nun for. 9. I’m actually not sure we are supposed to be eating Quinoa. 10. The last Christmas before my Dad went on ahead, my parents gave me a telescope. They knew my love for sitting out in the yard and looking into the night sky. I think I used it once soon after. There was a string of really cold nights and the gift was pushed into a corner. About that time a darker night came and I could not bring myself to use it. I had trouble enjoying just about anything. Around the same time I remember taking out the trash on one of those perfect winter nights when the sky shines with stars from every corner and your eyes cannot catch them all. But I could not enjoy it. The very thing I used to crave and long for during the day was set against the darkness of the next day and the next day. I couldn’t even look up. The other night I dusted off the telescope and we looked at the moon and saw it’s jagged edges and chalky canyons and oooooed and ahhhhed in the brightness of the night and I smiled at the future. 1. Grace laughs at the law with head thrown completely back and ribs grabbed. 2. Yesterday at work, I got to talking to a guy about books. And we talked poetry a little. And it was the best day at work ever. 3. There have been a number of articles lately about the things people say to pastors. And things you shouldn’t say to pastors. Ways pastors are criticized. One article was about how it hurts Pastors when people leave. I’ve now been on both sides of this coin. Can I write an article of what pastors should never say or do? It all seems a silencing. What would I love to hear from pastors? Posts asking for feedback with a chest behind that can handle it. 4. 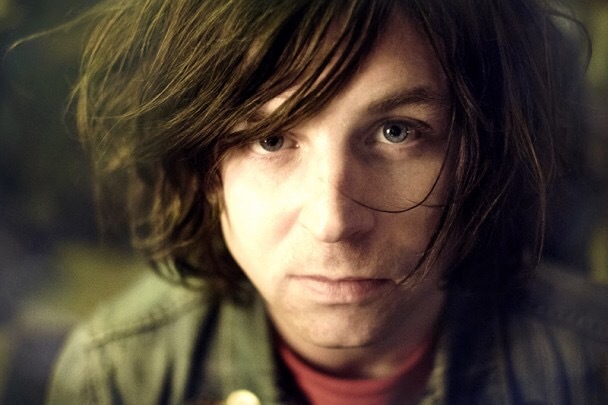 I listen to Ryan Adams a lot. And one of the reasons is how absolutely at odds his personality is with his songs. He is a foul-mouthed, pinball playing, comic book reading, silly boy-man. And he writes songs with incredible melodies and lyrics that rival some of the best modern poetry for beauty and insight into the human condition. 5. Last night we spent an evening laughing and eating and drinking with our best friends. We talked of our joys, our hurts, and we laughed at ourselves till we hurt. Each couple brings a dish. We get together every month at least once a month. But we try for more. We have a group text that we live on that’s been going for years. It’s full of inside jokes, prayer requests and plans for time together. It’s used every single day. We care about each other’s kids like our own. No “small group” could compete. 6. My Ray Charles records are treasures. Found cheap and listened to more than any others. 7. My love for BBQ is without boundary. 9. One of the things that surprised me while working in the bank is how much people eat out. And how much money they spend doing it. And how they complain about not making enough money. 10. Last night while at our friend’s I looked over and watched my wife sit and talk and laugh in all her beauty and thanked God for such a gift. Her laughter is better than gold. 1. 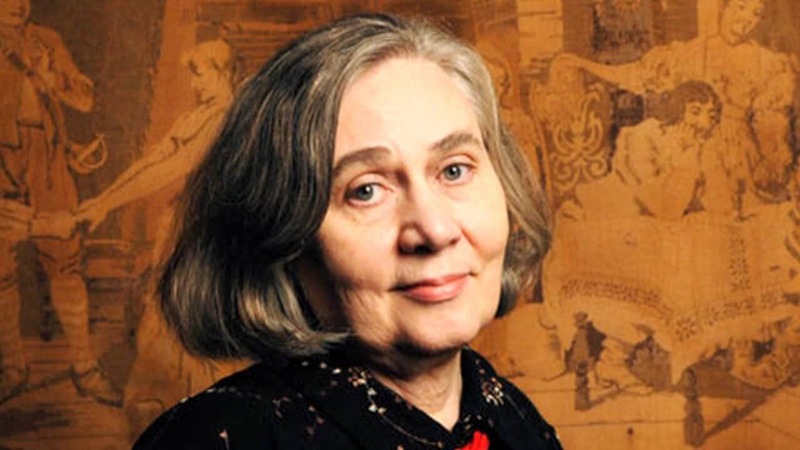 I dreamed last night that I preordered Marilynne Robinson’s book of poetry. The only problem is she doesn’t have one coming out. 2. I’ve worked three days at my new job and I haven’t needed to listen any angry music with bad words on the way home. 3. There is no place in Christendom for snobbery about coffee, beer, or whatever. 4. Yesterday I sat with a lady at her desk as part of my training and on her desk was a copy of Homer’s The Odyssey. That would have never happened in the branch. 5. 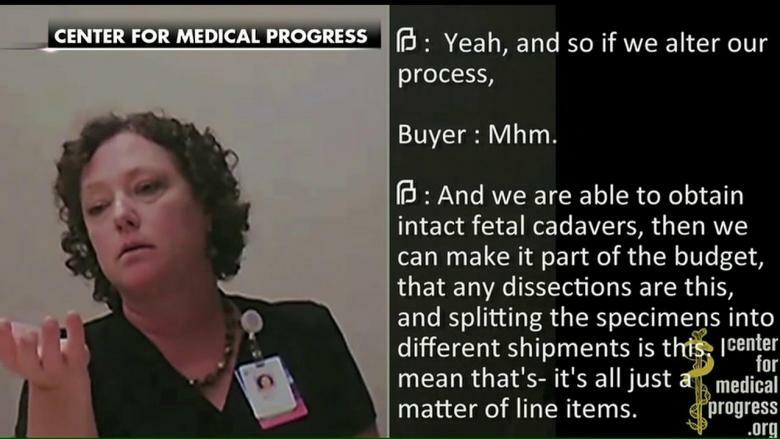 I looked at the mobile versions of CNN, MSNBC, ABC, CBS, and Fox News and could find nothing on the newest Planned Parenthood video, even though it features a live baby killed for its brain. 6. When you do violence to words, you can expect violence against people. 7. 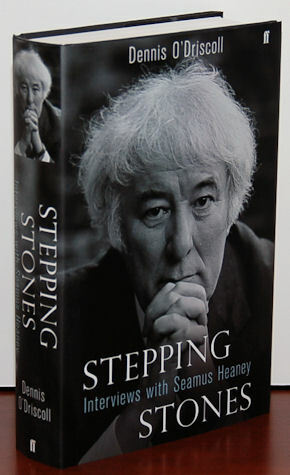 I’ve been reading this huge book of interviews of the poet Seamus Heaney. At the same time I’m reading a book of Wendell Berry’s poems. Early on the two were similar. But fame changed one of them. 8. I wish my middle son liked school more because I remember disliking every single day. 9. There’s a lot of laughter at my new job. I hope I never minimize that. 10. Missy’s homemade pizza with Supper Club. Yesterday was a hard day. Bittersweet. I was so glad to say goodbye to a job I’ve been struggling through for nearly four years. But man, I loved the people I worked with. 2. I have never studied nor even read on the subject of brand identity. So all of my thoughts are born of observation and speculation. But I cannot help but think modern western culture identifies with brands in an unhealthy way and very different from the generations before us. Before, men and women identified with their vocation and what they actually created and did. Now, we identify with what others have created and done. It’s odd, really. 3. Churches are guilty of brand identity also. And they are also guilty of encouraging it. 4. Looking forward to my wife putting my new lawn mower together. 5. 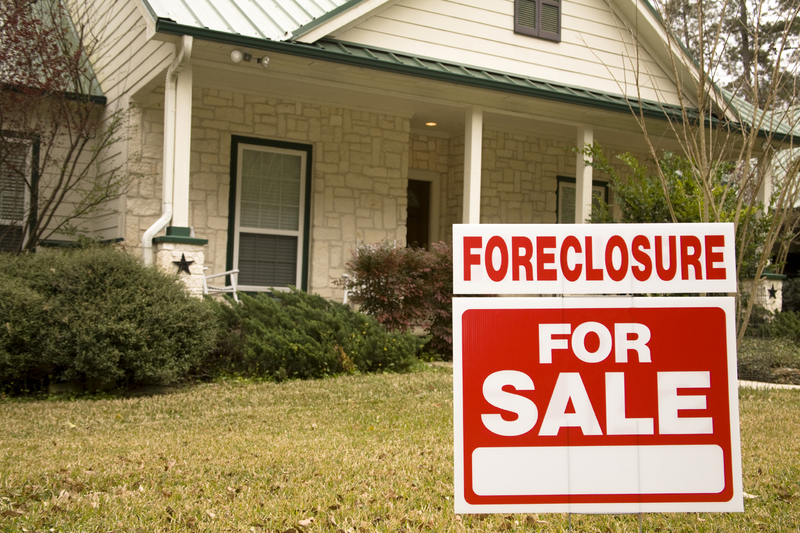 It is good for your neighborhood to have a few foreclosures in it. Why? Otherwise you probably live in the neighborhood version of a high school cool kid clique with all the drama and snobbery and competition. 6. Protip: When someone buys something new, don’t talk about how bad it is and what a bad idea it was. They’ve bought it. Telling them it won’t work out is nothing short of cruel. 7. On my last two days of work, we had a problem locking the vault, which kept me at the bank way late and then my final customer was someone who brought me a document I was not able to notarize. Pretty good summation. 8. To suggest explicitly or implicitly the main work of a Christian is evangelization is to be completely out of step with the Scriptures. And when I say completely, I mean completely. 9. The blackened shrimp I will eat tonight. 10. Man, I wish my parents were able to share in the good news of me changing jobs after waiting so long. 1. I cannot remember a time when Sunday night was not a time of anxiety and dread. Till now. A few of you can possibly understand. But not many. 2. Listening to Van Morrison while the Cicadas sing their songs out of doors, while we sit around listening, makes for a good Sunday evening. 3. My wife’s leftovers are better than most meals. 4. 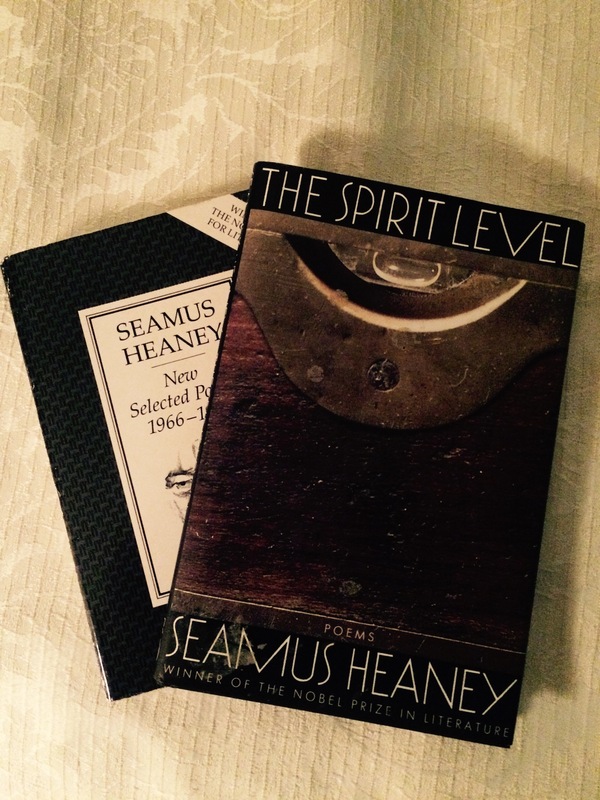 Finding two of Heaney’s books of poems at the used bookstore is better than finding money in last year’s winter coat. 5. Believe it or not I’ll miss some parts of my job. But I suppose that even soldiers once in the hell of war miss the companionship and friendships made and lost. 6. Last weekend we celebrated the new job with friends. We congratulated each other as a joke. But it was the kind of joke with depth of meaning and it meant more than gold could ever mean. 7. Why not all the Van albums on vinyl? 8. No hope in a politician. None. 10. American Christianity has produced an environment where the head of an evangelistic ministry who also heads up one that targets the poor the world over, makes $880,000 a year. And hardly anyone thinks that’s a problem. 1. I’m reading For Whom the Bell Tolls right now but I’ve been thinking a lot about The Old Man and the Sea. Hemingway insisted it was just a story. By that he meant there was no metaphor, no deeper meaning to be mined by those who push their glasses up their nose after saying something they assume everyone will be impressed by. It was just a story about an old fisherman and a fish. I think when we are always looking for metaphors and deeper meanings in something we miss what is actually there. We can write impressive, smart sounding thinkpieces. But sometimes it’s just a fish. You can kill something by making it an object lesson. 2. I bought the newest Jason Isbell album on vinyl. It’s a double album and was far more expensive than the CD. This has forced me to do two things. It’s only 11 songs split between four sides, so listening to the album straight through is a physical activity. You have to turn the album over at the most after three songs and after the second side, you have to put it back in the sleeve and then remove the second album from the sleeve, etc. If I’m not sitting or laying on the floor right beside the record player, I’m getting up from my chair every 10 minutes at the most. That’s one. But also, the expense has forced me to say “no” to other albums. I talked about this the other night with some friends. Remember back when you were young and you saved up your money to go buy an album and you had no idea if any of the songs were any good outside of the one or two you had heard on the radio? It was a real investment. It could be a month before you would be able to afford another album. So you listened to every song over and over and gave it a chance. Nothing was delete-able. 3. Repentance and apology that engender applause should always be suspect. Have I pointed this out before? This kind of repentance is a public relations move. And it will never be enough. And just like every other PR move, it will need to be repeated again and again, world without end. 5. My favorite part of getting a new job is the excitement of my wife. 6. And Five Guys to celebrate. 7. The evangelical church cares so little for the poets it is no wonder the prophetic voice has given way to the stratagems of the CEO. Look at the prophets of the Old Testament. What do you see? Poets. 8. I’ve read none of the recent spate of dystopian novels. But it would be hard for me to imagine one with a storyline as disturbing as what is being revealed about Planned Parenthood. Why do you read those novels, but to watch those with power abusing it in disturbing fashion, fall at the hands of those who see things as they are? 9. Maybe it’s old age, but my enthusiasm for new technology is disappearing. It over promises and under-delivers. Almost all of it is glitchy. Even my apple products seem to have become so complicated and full of features that I can no longer do the simple things without something going wrong. There is no substitute for a dusty book and some Van Morrison on vinyl. 10. This morning (Saturday) I ran in the gift of an Autumn-like morning. The air was crisp, almost cool. Not like the blues, but cool like a stream for a weary traveler. Even the ducks and geese seemed to enjoy themselves in the reflection of the cobalt blue sky on the lake’s shining surface. All of us runners greeted even the walkers in the joy of breathable air. Even the blues I listened to had the glint of unbounded smiles for the day ahead.